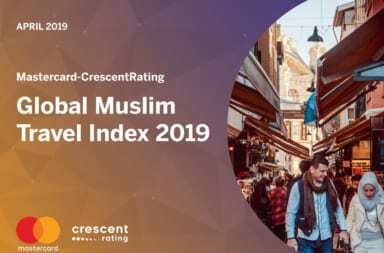 Friendly for Muslim and Those With Allergies Too! 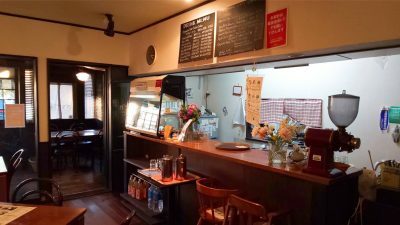 Vegans Café and Restaurant “Ritz’n” in Tsukuba, Ibaraki! 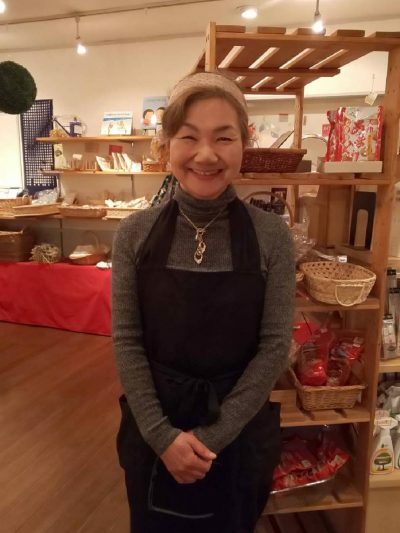 The owner of vegans café restaurant “Ritz’n”, Mrs. Koshimizu interested in vegan since 18 years ago. At the time, she found a rabbit logo on the back of her toothpaste. 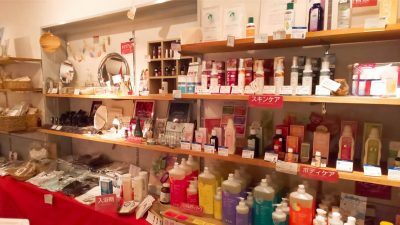 After a while, she learned that the rabbit log says that “It is NOT an animal testing product.” and she became aware to the issue of animal testing used to developing our daily necessities like cosmetics. 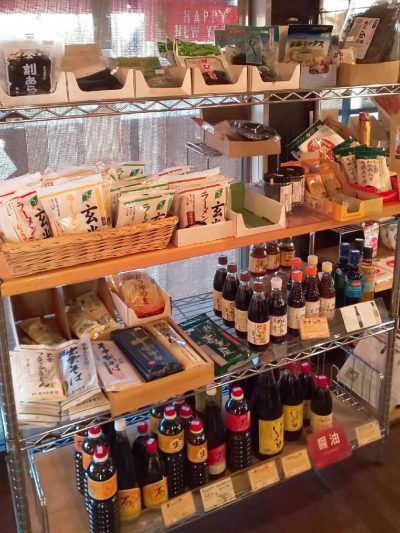 Ms. Koshimizu has started to collect daily necessities which made without animal testing and sell them at Ritz’n. 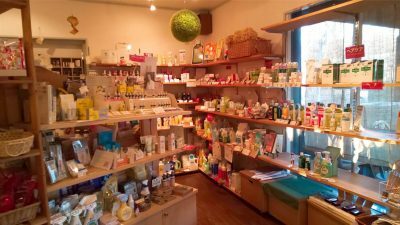 Currently, various kind of products such as body care products, skin care products, cosmetics, bath salts and laundry detergent are available there. On the top of that, Ritz’n serves vegetarian menu which does not contain any animal ingredients! 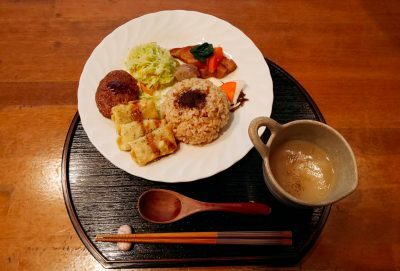 Vegan’s café and restaurant “Ritz’n” located in Tsukuba, Ibaraki Prefecture, opened since 2001. 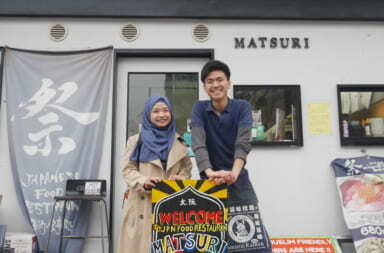 Ms. Koshizumi love to go for eating out to every part of Japan and experienced the delicious taste of many kind of foods. She makes her experiences to work on creating delicious menus without animal ingredients. Many customers including people with egg allergy or milk allergy, vegans, Muslims come to ‘Ritz’n’ daily. 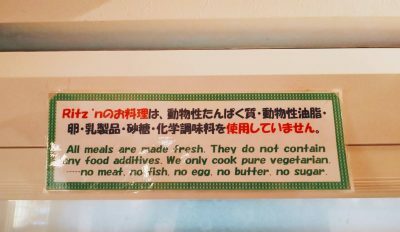 At this restaurant, all people can enjoy all delicious food menus with no worries about the ingredients. And for Muslims, please feel free to consult with the staffs and they will gladly arrange the menu for you. 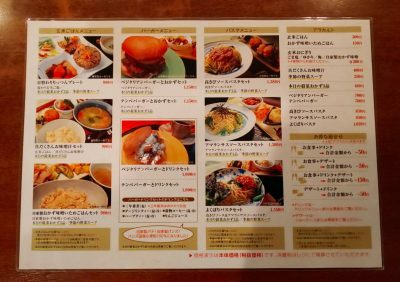 Ritz’n’s food menu has amazing features like they made with Japanese millet instead of whitefish or made with sorghum instead of minced beef and they use foxtail millet to make egg’s texture. 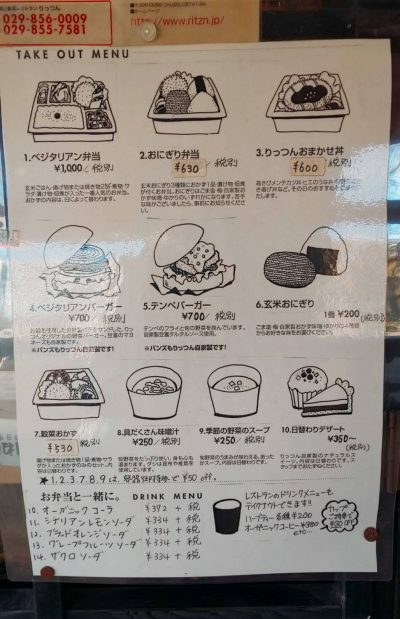 In addition, their vege-burger buns as well as miso (fermented soybean paste) are handmade. Also, they are selling handmade mayonnaise at the shop too. There are many kinds of cakes such as roll-cake, sachertortte or today’s cake in ‘Ritz’n’. 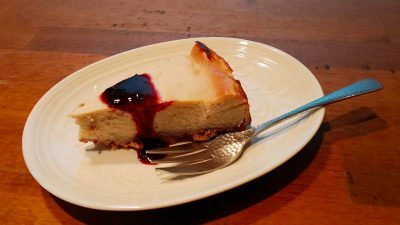 Of course all cakes also does not contain any animal protein, animal fat, egg, dairy product, white sugar, and artificial ingredients. Ritz’n’s miso and buns are all hand made! 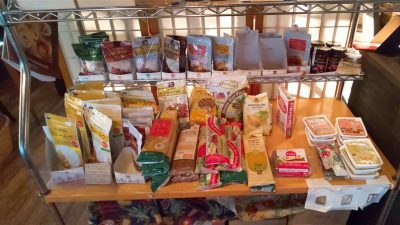 Animal free products at Ritz’n. There are take-away menus too! If you bring your own chopsticks and lunch box when you order take-away menu, you can get a discount! Also, you will help to care the environment too. 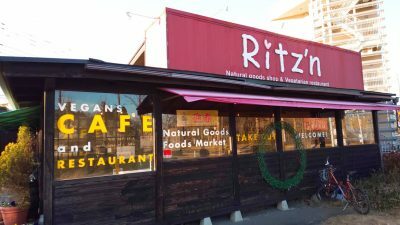 If you happen to be in Tsukuba, please have a visit to “Ritz’n”!